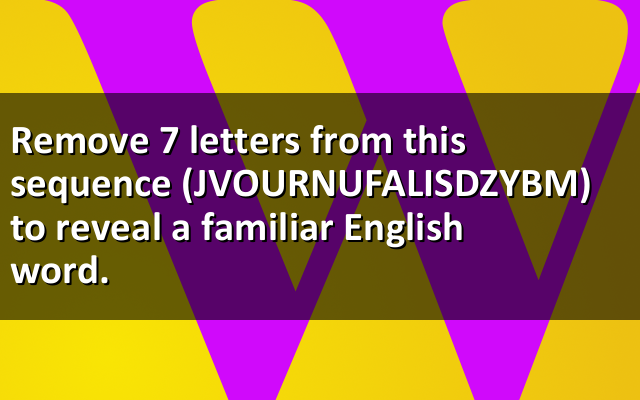 Remove 7 letters from this sequence (JVOURNUFALISDZYBM) to reveal a familiar English word. In 1575, printing of Ambroise Paré's book Oeuvres Complètes (Complete Works) was finished, but its publication was opposed by establishment physicians. His previous texts on surgery had popularized a new way to treat gunshot wounds without cauterisation, reintroduced the ligature in amputation, and improved midwifery techniques. These many writings were gathered together in this one new volume, which spread his teachings throughout the world. It remained in print for a century and ran to thirteen editions. He wrote in French instead of Latin with practical, common sense so that many barber-surgeons, who (like Paré) were unable to interpret Latin, had access to medical knowledge otherwise unavailable from Latin texts.